Gluten Free, Dairy Free Fudgesicles! Oh yes, you heard me right, and they are mighty tasty. The funny thing is that I actually bought them by accident! I thought they were the soy vanilla bars that are covered in dairy free chocolate. Not only did I not notice when I was in the store, I didn’t even notice when I put them away in my own freezer. I’ll guess we’ll chalk that one up to a busy day. At first I was disappointed when I finally did realize what I had done. That is, until I opened one and had a bite. They are smooth and wonderfully chocolatey. Made from coconut milk and only four ingredients total. Coconut milk, agave syrup, fair trade cocoa, and vanilla. Completely vegan, organic, and gluten-free. When was the last time you picked up a carton of regular cow’s milk ice cream and looked at the ingredients? There are words on those cartons most people can’t even pronounce. And did you know that many manufacturers use wheat to thicken their ice cream? 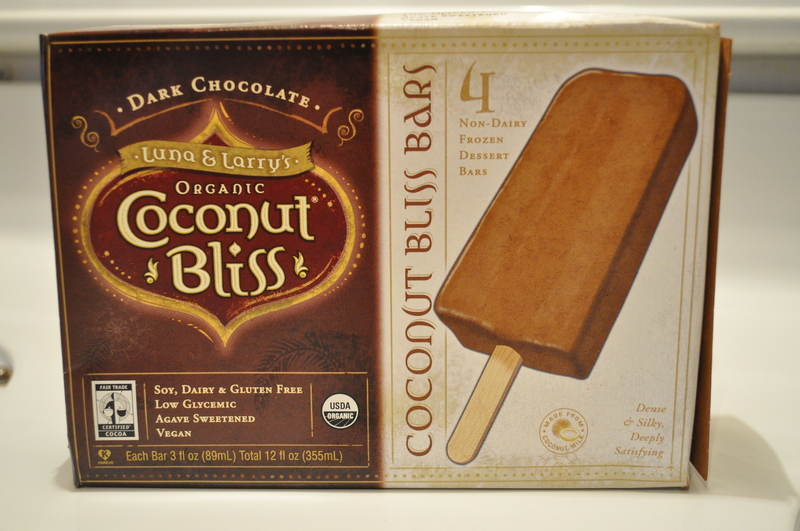 Coconut Bliss has an entire line of high quality, delicious ice cream in different flavors. They’ve set the bar high and have proven that you can make a gluten-free, vegan ice cream that not only tastes sinfully delicious, but also doesn’t leave you wishing you could have the “real” thing. They retire some of those flavors after they’ve been on the market for a while, so if I were you…I’d plan a shopping trip today. We do retire flavors from time to time but not this year! We have four new flavors that are being named this week on the 10th and will be in stores around April 1st. The ingredient list on them is a bit longer, but are a delicious surprise for our the food allergy community.